Listed here are speaker parts that are mostly for use in the early EPI models. All items are available for sale unless otherwise noted. Every item has been tested and rated reasonably for function and cosmetics, and priced accordingly. I also take care to clean connectors and reinforce magnets. For woofers if the surrounds are at all suspect I will refoam them. EPI Tweeters: Yes, you can find EPI tweeters on E-Bay on a regular basis still. However, you never can be sure what you are getting until UPS fires the box onto your porch. I test each tweeter, reinforce the magnet with hot glue, and clean the terminals. They I also put a fine film of silver contact enhancer on the tweeters' terminals for the best possible connection and least distortion of the signal. The tweeters I sell are not going to drop their magnets, and they will sound the best they can. 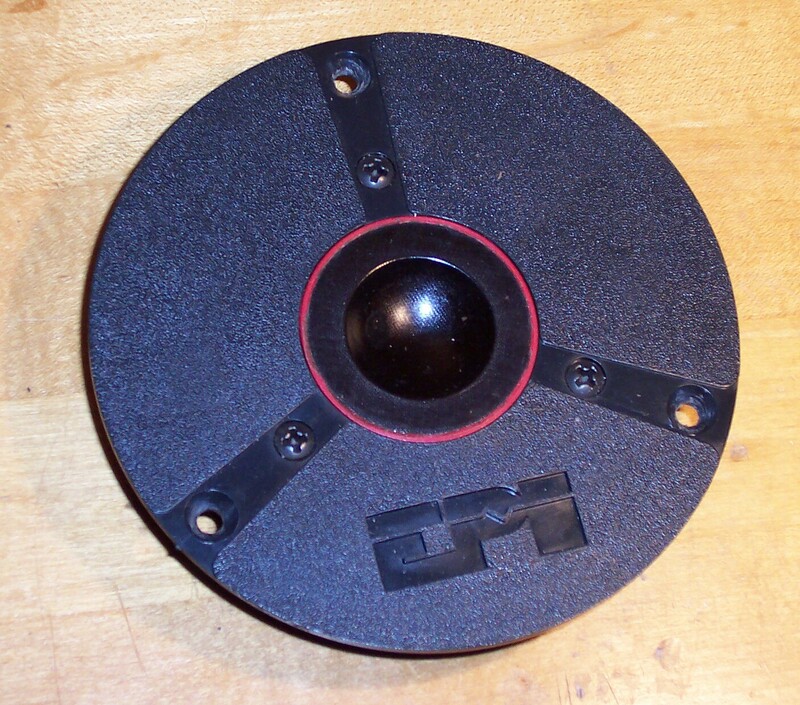 Sold 7/13 For sale is one EPI Part 1019 Inverted Dome Tweeter. 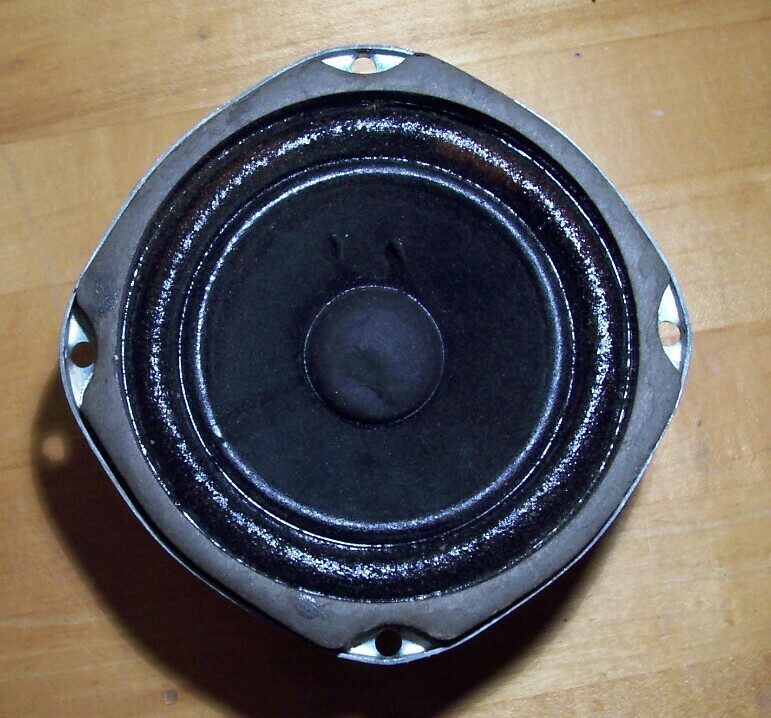 built 4-29-1983 Used in the A series $26 plus shipping for one tweeter. Excellent condition both cosmetically and sonically. 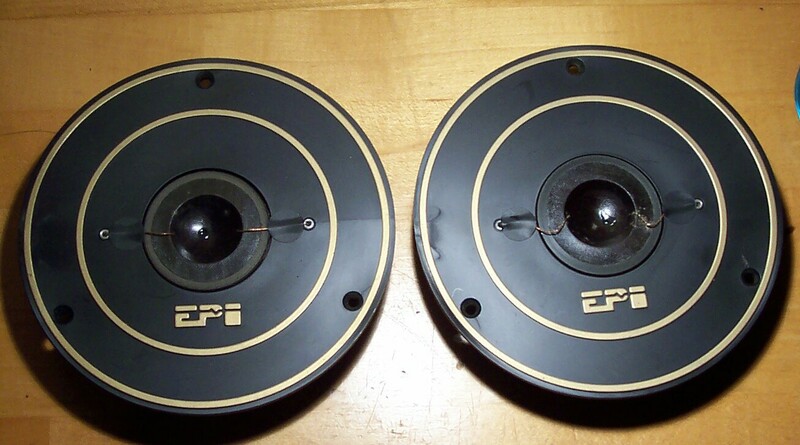 This pair sold 7/12: For sale is a matched pair of EPI inverted dome tweeters Part 1224. Built Dec 22, 1980 this pair was pulled from EPI100s but used in many models. Also known as the Gold Ring Tweeter. These EPI 1224 tweeters are in excellent mechanical and cosmetic condition. I reinforce the magnets with hot glue and clean and treat the terminals with contact enhancer. These will be sold along with their original gaskets. Price for the pair is $63 plus shipping. 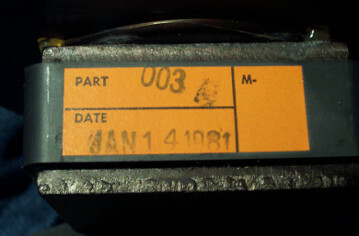 Sold 7/2012 For sale is a pair of EPI Part 003 8" Woofers: Built Jan 14, 1981. This pair was pulled from some EPI 100s but will work in most models that use an 8 inch woofer. Both woofers are in excellent mechanical and cosmetic condition. New surrounds installed June 2012. In refoaming the woofers I also cut out the dustcap and recenter the voice coil. These are being sold along with their original gaskets. It is tough to find original EPI woofers in condition this good. I will also clean the terminals and treat them with silver contact enhancer. $72 plus shipping. 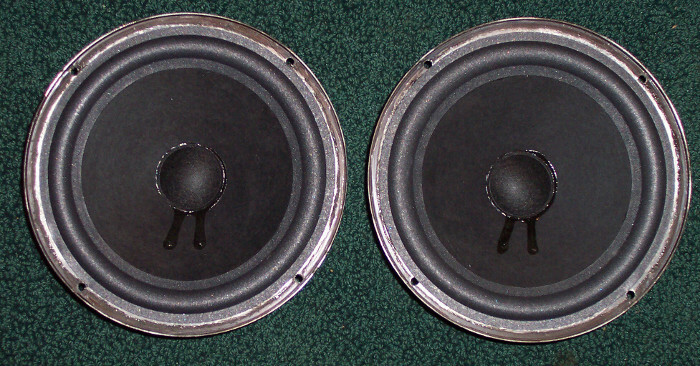 July 25, 2013: I have a few pairs of EPI 8 inch woofers available. I have not yet gone over them to price them, but if you are interested in a pair of woofers I can probably help you out. For sale is one CTI 4.5 Inch full range driver. 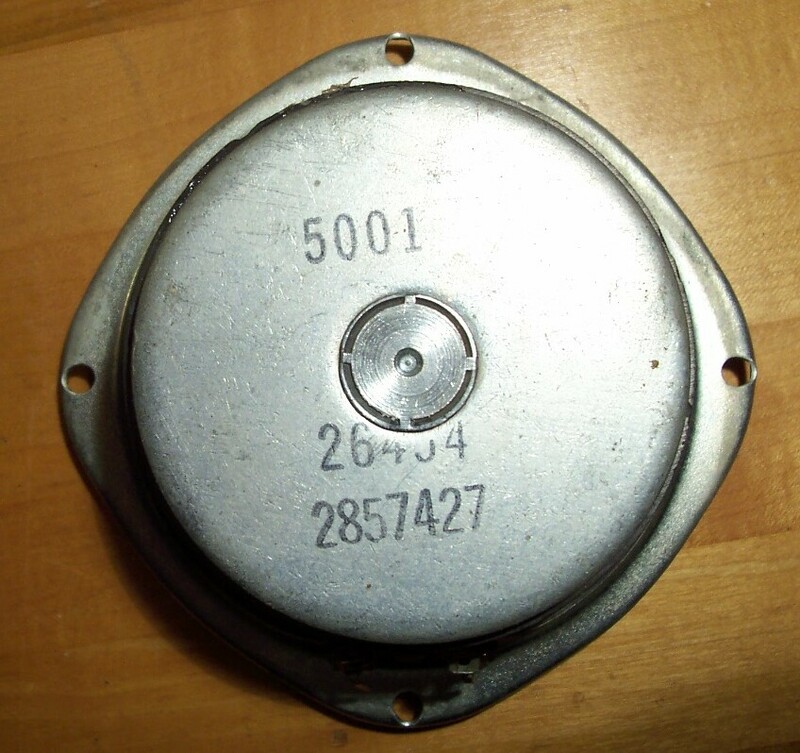 Used in the EPI MT (mini tower) series and many of the early Bose speakers. This driver is is excellent mechanical condition and has a minor dent in the dustcap. Price is $15 plus shipping.